Cortez Hill Condos in downtown San Diego is located in one of the highest points in downtown San Diego bounded by the Core District to the South (A Street) and the 5 freeway to the north, the 163 freeway to the east and Union street to the West. The homes located on the east side of 6th ave to the 163 freeway are known as "Cortez East" district and condos on the other side of 6th is known as "Cortez West." Condos in the Cortez Hill area have great views of the San Diego Bay, Ocean, Balboa Park and stunning city light views. 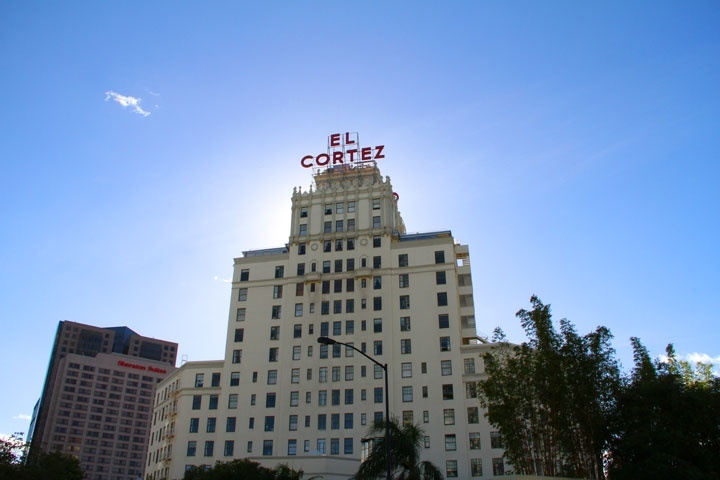 The Cortez District is known to be more affordable then condos located in the Marina & Columbia districts. Some of the most well known downtown condo buildings are the Aria, Aloft, Beeach Tower, Citymark, Cortez Blu, Discover, El Cortez, Palermo, Parkview, Soleil Court, Symphony Terrace, The Mills and The Park Avenue. Below are the current Cortez District condos for sale in San Diego. Questions? Let our team of San Diego Realtor Associates help you. Please contact us at 1-888-990-7111 today!